Milan’s foremost sustainable experimental festival has revealed the first round of artists for its 2019 edition. Terraforma Festival, which takes place from July 5 – 7 at Milan’s Villa Arconati, has announced the first acts to be featured in its 2019 program. 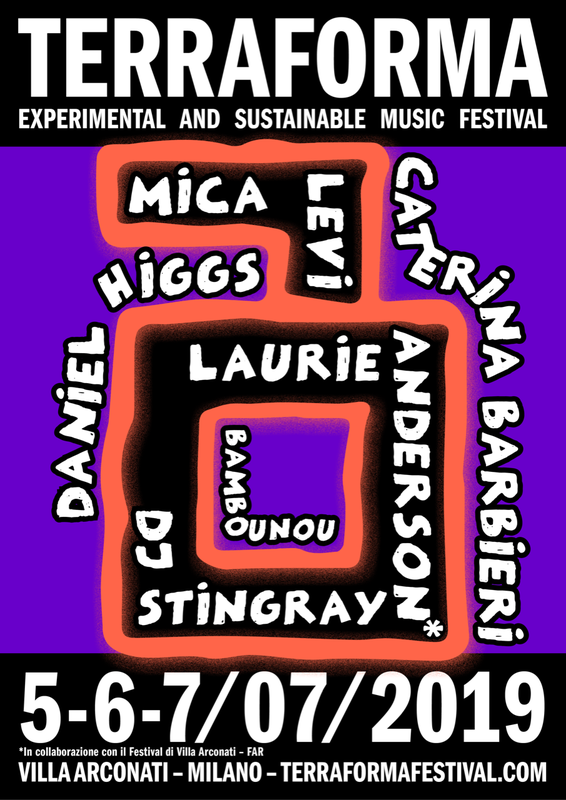 Laurie Anderson, Mica Levi and Caterina Barbieri will perform alongside DJ Stingray, Daniel Higgs and Bambounou over the three day festival, with more acts, lectures, site-specific installations and workshop programs to be announced. Terraforma, which has had a focus on sustainability since its inaugural edition in 2014, has been awarded by A Greener Festival (AGF) as the first Italian festival ever awarded in the category ‘Improvers’ in the non-profit’s scheme to reduce the environmental impact of festivals. Last year Terraforma’s project to restore the labyrinth garden at Villa Arconati, which began in 2016, was completed. Check out a video about the restoration project below. Festival passes are on sale now – for more details, head over to the Terraforma website or check out the Facebook event.